Thanksgiving has just gone by and the dinner is safely stuffed in the frig and in the family. Now it is time for some serious outdoor work here in South Carolina. When I set out to lug compost into the vegetable garden, string lines so my rows will be straight, and fight a bounding, rearing, kicking little tiller, I’m not really thinking about the dirt and the sore muscles; well, not all of the time. I'm thinking about the enjoyable taste of the vegetables I'll harvest after all of this work. And, nothing gets me moving in the garden like the promise of the sweet taste of homegrown peas. Thanksgiving weekend is the best time to plant peas in the vegetable garden here in zones 7-8. They sprout and grow roots during the cool days, then send up top growth and grow a little every time the weather tops the 50's. By March, I will be harvesting sugar snap peas, probably one of the all-time favorite vegetables ever developed. It won an All America Selection award in 1979 and is still hugely popular with vegetable gardeners. Sugar Snaps and their progeny are versatile. You can eat them pod and all or you can let the peas inside mature and shell them. This would be a mistake, though, since the pods are still luscious even at this advanced age. The original Sugar Snap pea does need to have the strings removed from the top and bottom of the pod. I do this as I harvest the pods and drop the strings and tips right there in the garden row. It makes for instant tiny mulch/compost. It is much more pleasurable to do kitchen chores in the garden. Plus, it makes it easy to go ahead and stuff my mouth with the particularly succulent looking pods. It never hurts to test a crop before handing it over to family and friends. Sugar Snap Peas, the original, is a very tall vine. It needs a five to six foot trellis. This is easy enough to fashion since the vines, even full of peas, weigh very little. Garden twine stretched and strung into a grid between bamboo stakes works as well as anything heavier. There are even newer varieties, like Sugar Ann Snap Pea, which won an AAS award in 1984, that are dwarfed and do not require staking. Sugar Sprint is a dwarf that also does not need to have strings removed. I opt for the little extra work of putting up a trellis and pulling strings from the pods, though, because I think the original Sugar Snap is still the best tasting. A close second in my garden is the Super Sugar Snap. We often have a warm spell here in South Carolina around the middle of December. I have successfully planted my peas as late as Christmas and still had a bumper crop come spring. When I have waited until February, the Official planting time, the seeds have mostly rotted in the cold soil. I have found it is better to get them up and growing before our winter rains arrive in earnest. To grow peas successfully in your home garden, choose a well-drained site in full sun. If you are in the Snow Belt, wait for the soil to warm up and dry out in the spring. Covering the bed with plastic will hurry up this process. Peas take 50-60 days to mature so make sure you do not plant them so late that they will be ready to flower just as the heat waves hit the garden. They need cool to cold nights and warm, not hot, days to supply you with mounds of fresh peas. March is often a good time, around St. Patrick's Day, for planting in much of the cold winter states. Be sure to plant plenty. If you are ever generous enough to serve them to friends, they will forever ask you for some "extras" from your garden. I never seem to plant enough, not just because of the ease of giving, but also because so many never make it indoors. They are an irresistible straight from the vine snack as I harvest or go about my other garden chores. Plant the seeds a quarter to a half inch deep. Do I use treated seed? Do I use an inoculant? No to both. My soil is still warm and since I don't use chemicals, it is teaming with microbes. You might need one or the other enhancements. If your garden is under a foot or more of snow, dream through some seed catalogs until it thaws enough to get your early spring veggies in the ground. 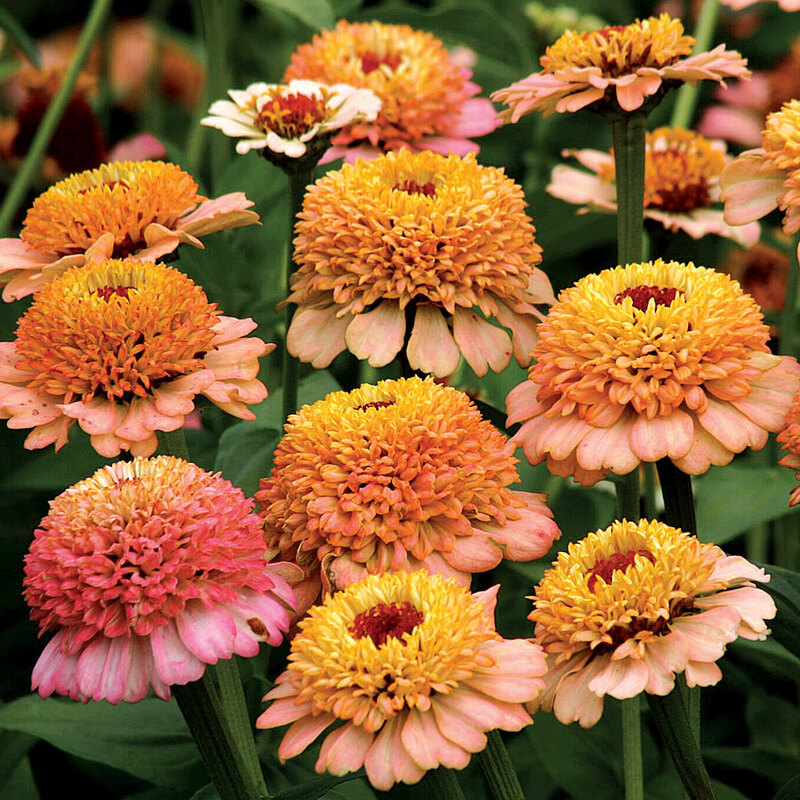 These cool weather growers should go in before the sun heats up the garden and the gardener. Not only do these vendors supply seed, you can learn about gardening in general and how to grow your seed choices in particular just by reading their catalog pages.